There has been a running theme in a lot of my recent posts to TFHB and our new sister site The Sporting History Boys - and that has been the Victorians. 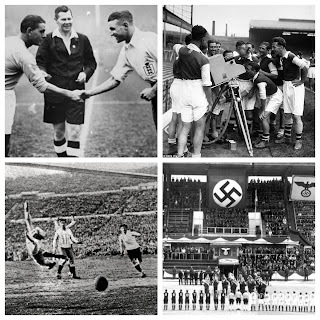 The formation of modern sport throughout the era has really captured both of our imaginations as we have learned just how football came into being. For a sport is arguably the only truly 'global' game, it is of immense intrigue to us as to just where it began and why it became so popular. 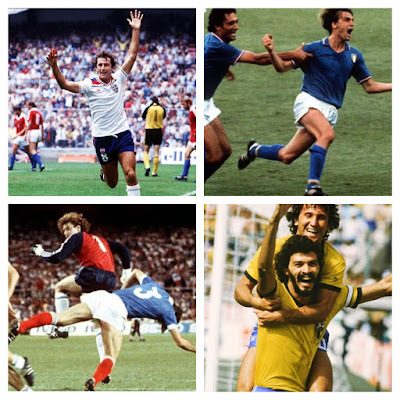 In the past we have discussed the relationship of class and identity within football spheres and the role spectators played in shaping the game we watch today. This piece however is to look at the sport's first team - Sheffield FC and how they influenced the modern establishment of association football. For those who have read our numerous pieces on the 'sporting revolution' you will quick to point out that we usually set a start date for the period at 1863, but Sheffield FC pre-dates even this. So should we adjust our dates or is there a reason for this? The quick answer is yes, but to understand where modern football came from, we need to go back even further to the establishment of Sheffield Football Club and its impact on everything which has come since. 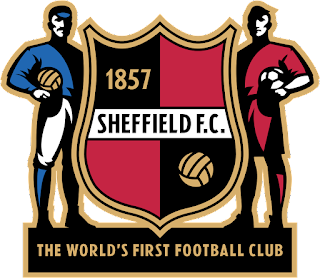 In August 2014 we briefly touched upon the club in our blog - A Threat to Morality: Football Before 1863 - but just who were Sheffield FC? The modern set of football rules were drawn up by the Football Association in 1863, but before this, football was still played in large numbers, mainly by public schools each with their own sets of rules and regulations to abide by. The Cambridge Rules were drawn up as early as 1848, with Eton and Harrow also establishing their own laws. This variation of rules is where Rugby comes from - the Rugby School were not willing to remove 'hacking' from their version of football and thus set up a new game altogether named "Rugby Football." The revival of sporting traditions in the English public schools system was due to an increasingly unchristian and ungentlemanly feel to each institution. "With the reform of the public schools in the 1830s and 1840s, organised games such as football came to assume a number of additional functions. First, it had the practical benefit of keeping boys occupied and out of mischief when not under the direct control of their masters...What is more, football became bound up in an influential cult of athleticism, which allied to ideas of muscular Christianity and manliness, dominated the thinking of Victorian public school educators." So where do Sheffield fit in? The club (still in operation today) claims to be 'the World's first football club' - is this strictly true for a start? Indeed, it is not difficult to find articles referencing matches being played before Sheffield's establishment in 1857, but mainly involve the aforementioned public schools with their variations of the rule-book. However, the "Foot-ball Club" in Edinburgh, Scotland (1827-41) can also claim ownership of the prestigious title, formed thirty years previous, only to play a game far-removed from modern soccer rules. "Foot-ball.—For these some weeks past, the Highland community has been kept continual state of ferment, from rivalship that has arisen out of the long neglected game of Football! The ancient pastime was recently revived in Perthshire, the exertions of Lord Stormont, and from Scone it rapidly spread in all directions, and, amongst other places, got introduced here." Funnily enough, when researching for Sheffield Football Club in the 1850s, most results return those for Sheffield Wednesday - but this is not to be confused with the modern Championship side. The Wednesday at that time were in fact a cricket team as were the subject of this article - Sheffield FC. With cricket being the national sport of Britain in the nineteenth-century, this is no surprise. The players who set up the club were 'old boys' from the Sheffield Collegiate School after being introduced to the game by their college masters. These students included Nathaniel Creswick and William Prest - the co-founders and instigators of the 'Sheffield Rules'. It is the 'Sheffield rules' which distinguish this form of football to that set up 6 years later. The list of eleven laws are at times similar and at others far-removed from the game we watch today. In fact, when reading the rules it is almost reminiscent of rugby - it involved catching and passing the ball with the hands. However, the inclusion of only scoring via the foot and the removal of 'hacking' lends itself to a sport more at home with the Football Association's later vision. Sports historian Matthew Taylor has raised some questions over the provenance of this original rulebook. He writes that the public-school influence on Sheffield's laws is largely evident. The inclusion of a "rogue" goal, which included the adoption of two smaller posts besides the goal (similar to Australian Rules Football) was inspired by the Eton rules of football. However, it is also written that Nathaniel Creswick had rejected any public-school rulings after indeed receiving copies of their rulebooks. Creswick described such laws as 'unintelligible.' The absence of the offside rule and inclusion of free-kicks is evidence of this. In terms of rivalries there was one regarded above any other for Sheffield FC - the fixture against Hallam. Hallam had been founded in 1860 just down the road from their local counterparts. Newspaper reports into the fixtures between the two are of immense intrigue - for example, in 1862 - the Nottinghamshire Guardian noted that the game was "played by fourteen each side." This gives us a great indication of the different rules adopted by different clubs! The journalist continues to note the 700 spectators and the violence of play - clearly football was already a popular amongst the public but one which needed a change to combat the "tripping, hacking and pushing with hands." He continues to state that such alterations would make the sport "much better". 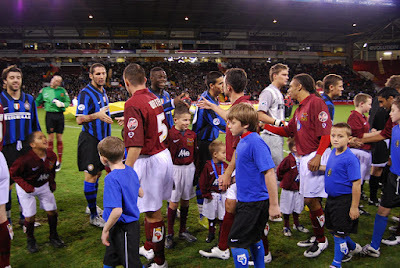 "GREAT FOOTBALL MATCH AT SHEFFIELD. The Sheffield Football Club arranged a match with the Hallam Club, the proceeds of which was to benefit that admirable institution the Sheffield Hospital and Dispensary. The game, which was played by fourteen on each side, took place at Hyde Park on Saturday...The spectators numbered between 600 and 7.0, and from their loud and frequent cheering, evidently enjoyed the sport. Many casualties, however, occurred, and for the safety of the players, it would indeed be much better if a great deal of the tripping up, " hacking," pushing with the hands, and wild and indiscriminate kicking were avoided. The receipts amounted to about £15, which sum will be handed over to the public Hospital and Dispensary." Matches between the sides were played with ruthless intensity - in 1862, Sheffield captain Nathaniel Creswick was involved in an altercation with a Hallam player - separated only by senior spectators. 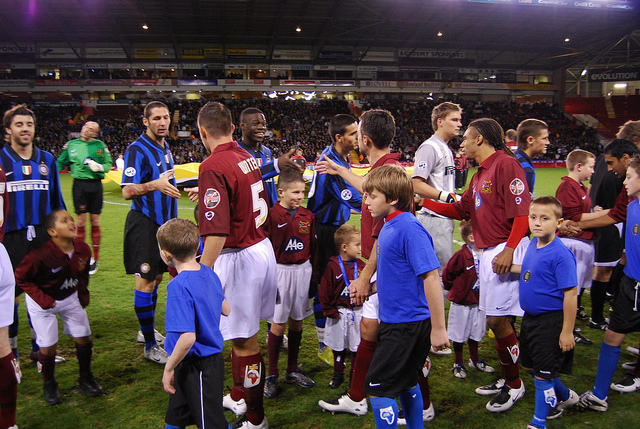 The rivalry and the growth of specatorship meant the birth of a number of other local teams all playing under the Sheffield Rules. What Sheffield had managed to produce was a genuine football culture which could only continue to grow in popularity and scope. However, with rules up north differing from those of the multiple schools and London based sides, something needed to be done. It is of surprise that in 1863 a meeting was held to discuss such dissimilarities amongst each footballing institution. The Sheffield and Rotherham Independent noted the agreement and that, "it would be advisable that a Football Association should be formed for the purpose of settling a code of rules for the regulation of the game of football." Eleven public schools and clubs met to deliberate and decide just how the game was to be played. The major debate from within the meeting of the "Football Association" was whether to retain handling and hacking (kicking the shins), the latter something Rugby School had been strongly behind. "FOOTBALL is just now receiving considerable attention; the clubs of the metropolis being anxious that a certain sort of rules should be adopted by all football players, and a Football Association has been formed for the purpose of settling the desired code. 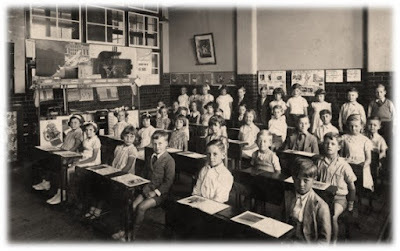 The great public schools have their respective rules, which it is thought desirable to assimilate; but this proposition has, in some instances, been received with reticence." Despite forming the first official club in Britain, the different rule book meant matches were often played under the laws of the home team. For example, following the formation of the FA, fixtures were often arranged between Sheffield and London sides played under both sets of rules. 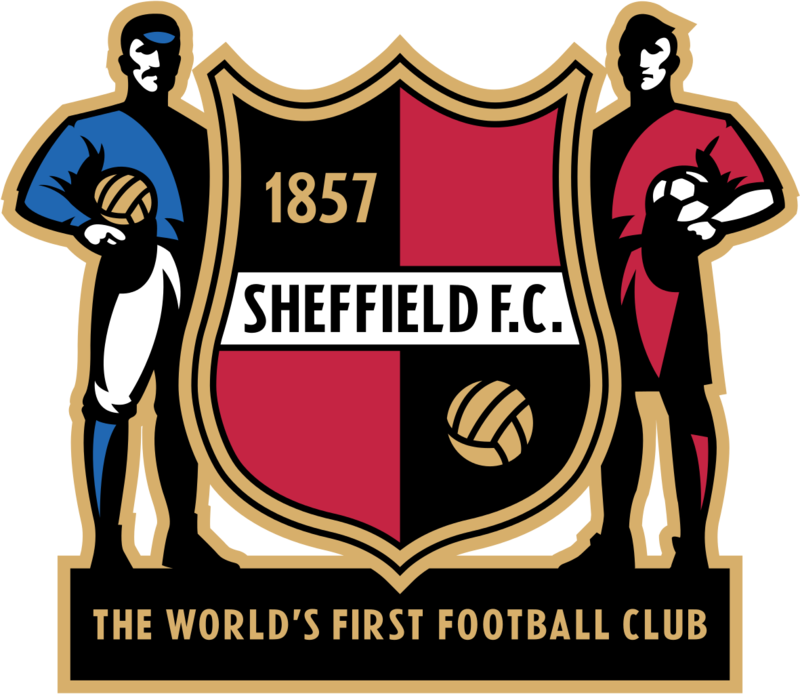 Sheffield did in fact join the Football Association in 1863, only to continue playing by their own rules - both the Sheffield Rules and the FA's continued to change and be experimented with well into the 1870s. The introduction of the FA Cup however helped the FA's rules become the national code of football with those of Sheffield being used less frequently. Eventually, the increase and rise of professionalism in the sport led to more money and a standard of football Sheffield were unable to compete with. Our previous work has been centred around 1863 and the influence that the Football Association had on the sport. This is still difficult to ignore due to their rules still being used today and Sheffield motioning a far more extravagant version of football. On the other hand, the role Sheffield Football Club played in the shaping of modern football cannot be understated - as mentioned before, in just five years they had managed to create a genuine footballing culture in Sheffield, one which would only continue to grow and conquer the rest of the nation.